One of the most lucrative business now in Nigeria is fish farming, it is not that common as some other business and this is why it is one of the top lucrative business in Nigeria. You don’t have to have million before you can go into this business and make huge profit however the amount of money you use to to determines the amount of profit you can get out from it. On this post, I will be highlighting some key things about feasibility study of fish farm, how to set up a fish farm, this will expose and teach you things you need to know as far as fish farming is concerned. There are lots of species of fish like Catfish, Tilapia, Sea Trout, Cyprinids, Freshwater fishes, Salmon, Common Carp, greasy grouper etc but the ones we are more familiar with in this country is mainly Catfish and Tilapia. However not all of this fishes are good for fish farming, the best ones most suitable for aquaculture are Catfish farming, Salmon, Tilapia farming, Mackerel (Titus), Crab. Fish farming can be done in two major ways, Intensive aquaculture and Extensive aquaculture. In Intensive Aquaculture fishes are fed with external food supply and are grown in constructed ponds but in Extensive Aquaculture the fishes are grown in their natural water. There are lots of advantages of fish farming, it is the most sorted animal products in the market and almost in every home it is the most consumed commodity and that makes the demand for fish very high. Fish is rich in calcium and has a low fat, high quality protein and that is why it is considered to be for big men in the country. In Fish farming in Nigeria feasibility study all of these facts must be considered so you can well prepare yourself for the business you are going into. Cost of Labor – This is very vital, you must know the cost of labor, the cost of labor vary, it is not a static thing and this labor is construction of pond and the type of pond you want to construct. Location – This is a vital factor to consider as far as feasibility study on fish farming in Nigeria is concerned. Location can determine the kind of pond you should construct for the fishes, in a swampy are there is a recommended pond that should be constructed, in areas where is no too much water there is a kind of pond that should be constructed, like I said location is a vital factor to consider in fish farming business plan in Nigeria. Cost of Feeding – Cost of feeding varies and this depends on the quality of feed you want, there are enhanced feeds which maybe more costly than some but the result on the fish is amazing. There are foreign feeds and local feeds, don’t expect them to be of the same price because their effect is not the same on the fishes. Marketing – This is one of the key factors that, feasibility study on fish farming give you an overview of how the market operates, what the market is in search of and what you can do to make good sales. Every consumer is looking for a big fish at an affordable price whether it is a smoked fish or not so this feasibility study gives you precisely what you are to get out of the business. This is just an highlight of the table of content. Our sample Fish farming feasibility study/business plan in Nigeria can be used to access bank loans, proposal writing and grant applications. The business plan was complied after a thorough feasibility study on Fish farming business in Nigeria was done. 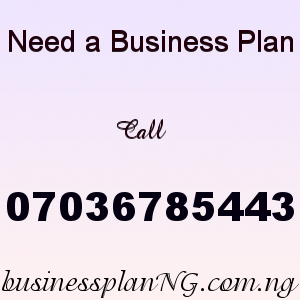 Get your Fish farming feasibility study/business plan in Nigeria, pay the sum of N10,000 into the account details below and send a text of your teller number, valid email address (where the feasibility/business plan will be sent to), to Mr Eyemeka on 07036785443. Interested persons should call Mr. Eyemeka on 07036785443. The fish farming business plan/feasibility study is sold for N10,000. PDF copy (soft copy only). It will be sent to your email address.